It's how we put a man on the moon; built the world's fastest electric car; reinvent our future. Play is one of the most fundamental and unique of human abilities. When we play, we open ourselves to new thoughts -we’re in explore mode. A what-if mindset that enables us to find new solutions to old challenges, and new ways of doing things to disrupt and improve the old models. We know more than we know we know. Or put another way – there is useful stuff in our heads but you don’t know how to get it out. We live in a non-linear, ambiguous and unpredictable world. Linear (left-brain) thinking will does not have the capacity to help us find solutions to the challenges of this world. Our hands are connected to over 70-80% of our brain cells. With the help of those neural connections in our hands we “know” a lot more at any given time than we think we know. 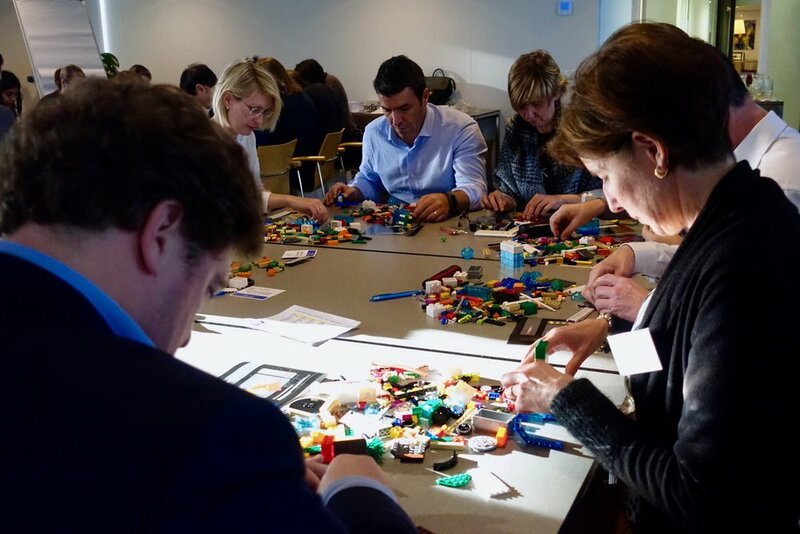 LEGO® Serious Play® taps into the our ability to imagine, to describe and to make sense of a situation, to initiate change and improvement, and even to create something completely new. When our hands are used in learning, not only do thoughts and ideas that are built with our hands tend to be expressed in greater detail, they are also more easily understood and remembered.